*Every 4th and 5th Sunday, a 1pm service is held in lieu of the normal 6pm service. Jacob Evans became the Pulpit Minister for the Pulaski Street church of Christ on April 1, 2015. He and his wife, Brittany, feel extremely blessed to work with this wonderful congregation. Jacob was born to Mack and Shirley Evans on April 23, 1979, here in Lawrenceburg, TN, and was raised to love and serve God in the Pulaski Street congregation. He attended Lawrence County High School and graduated in 1997 as the Valedictorian. He is a three-time graduate of Freed-Hardeman University, earning a B.A. with a double major in Bible and English (2002), a Master of Ministry degree (2007), and a Master of Divinity degree (2013). In 2006, Jacob was instrumental in planting a congregation in Greenback, TN, and served as the preacher for this congregation until March 2015. From 2013 to 2015, Jacob also served as the Dean of Academics and as an instructor for the Southeast Institute of Biblical Studies (formerly East Tennessee School of Preaching) in Karns, TN. Jacob loves studying, preaching, and teaching God’s Word as well as spending time with his family. When he can find the time, he also enjoys singing original ballads, while strumming his jumbo Guild. Brittany, daughter of Billy and Geunita Ringold, was born on March 12, 1982, in Chattanooga, TN, and was raised to love and serve God among the members of the Red Bank church of Christ. She graduated from Boyd Buchanan School in 2001. Brittany also attended Freed-Hardeman University and earned a B.A. in History (2005). After graduation, she worked at FHU for three years as the Student Activities Coordinator before moving to Maryville, TN, to be closer to Jacob. Brittany feels blessed to be a homemaker and enjoys spending time with family, reading,and crafting. Jacob and Brittany, who were married on March 21, 2009, have one daughter, Lora Reese, born April 27, 2011, and one son, Chapman Grey, born February 20, 2014. Jeremy Gargis is the Youth Minister for the Pulaski Street church of Christ. He and his wife, Katie, love living in Lawrenceburg. Jeremy, son of Howell and Laura Gargis, was born on April 16, 1984 in Florence, AL, and was raised in Burcham Valley, near the community of Central Heights. His family are members of the New Hope church of Christ, where Howell serves as an elder. Jeremy attended Mars Hill Bible School in Florence, AL throughout his youth and graduated from high school there in 2002. 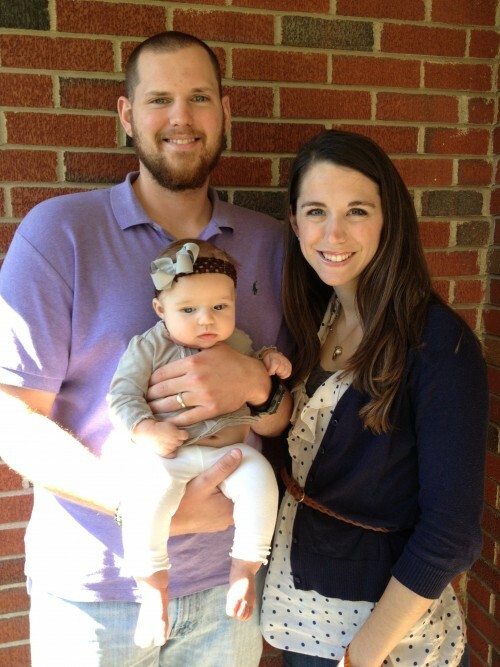 Jeremy graduated from Freed-Hardeman University in Henderson, TN, in December 2006 with a B.S. in Biblical Studies. He has been working with Pulaski Street full-time since graduating from Freed-Hardeman. He loves to study the Bible on his own, as well as with others. Jeremy really enjoys teaching class for our teens. He loves to sing, lead singing, and teaches a New Songs class every other Wednesday evening. In his free time, Jeremy enjoys hunting, sports, riding his motorcycle, and relaxing at home with his family. Katie, daughter of Brian and Mary Ann Lindsay, was born on February 15, 1986 in Belleville, IL. The family later moved to Alabama, and Katie grew up in the Huntsville area, attending the Madison church of Christ. She graduated from Bob Jones High School in 2004. Katie also attended Freed-Hardeman University, and received a B.S. in Elementary Education from there in May 2008. She has taught at New Prospect Elementary School, and currently teaches 1st grade at Leoma Elementary School. Katie is an invaluable asset to Jeremy in working with the youth at Pulaski Street. Katie enjoys reading, and family time. 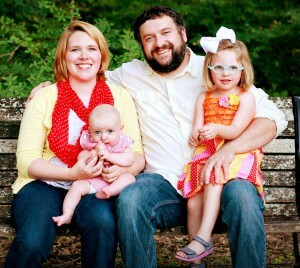 Jeremy and Katie, who wed on June 2, 2007, have a daughter, Penelope Ann, born July 24, 2012 in Lawrenceburg, TN. Penelope loves her family, the family dogs (Bruin and Braxton), stuffed animals, blankets, sports (it’s true), and cheese balls. Her parents call her Nelly. © 2019 Pulaski Street church of Christ. All Rights Reserved.